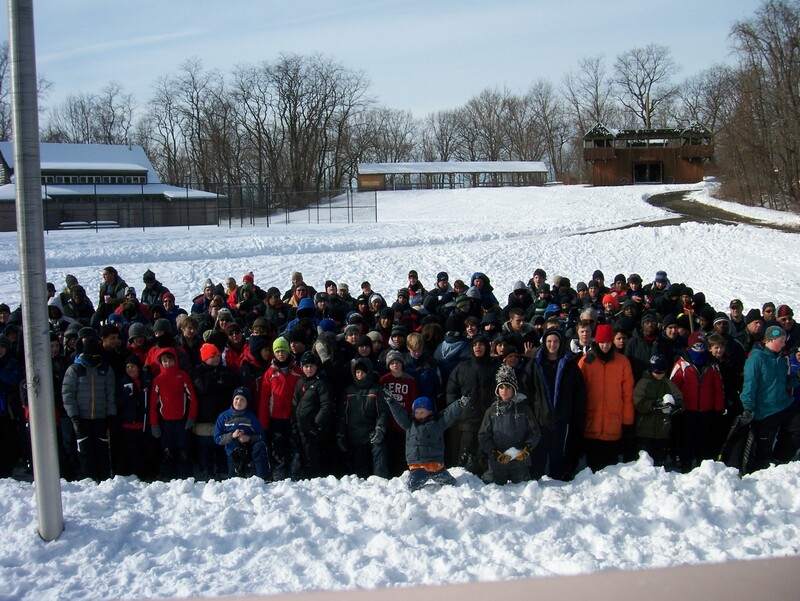 Scouts from Troop 353 challenged their cold weather survival skills at the 2011 Klondike Event at Camp Alpine in Alpine, NJ. Scouts competed with other troops to build outdoor shelters in which they could survive against the elements. Then, mimicking the crew of Ernest Shackleton, scouts practiced some ice rescue techniques on plastic tarps that surrounded a life size ship similar to that used by the crew of the Endurance that had been stuck in ice during an expedition in 1921. After reaching the stranded ship, scouts were rewarded with some delectable snacks they found scattered on board the ship. After enjoying some hot soup lunch, scouts were able to enjoy the outdoor timed competition of the two-man log sawing contest. Troop 353 proudly took second place! It was not until later that the competition became fierce with the District snow sled race. Troops from all over pulled and pushed their sleds over the finish line. A few sleds didn’t survive the event! Most didn’t care what place they came in since they were all having so much fun. Lots of great photos of this event can be seen here!